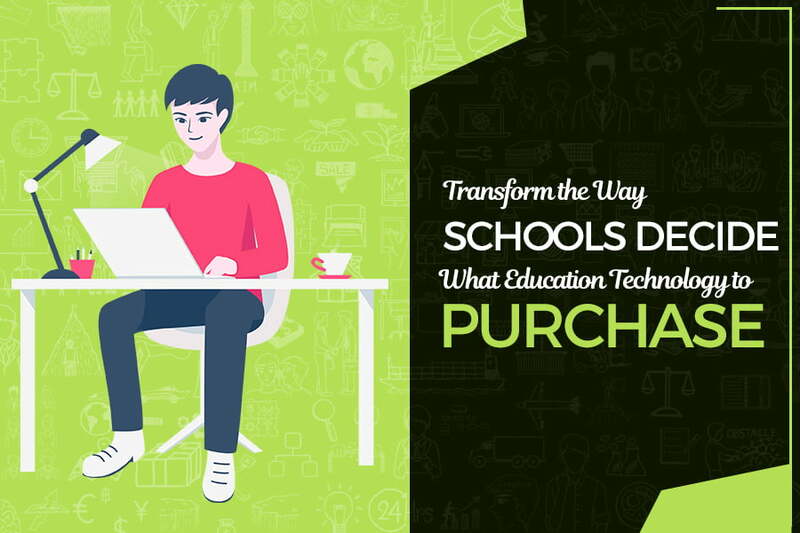 Finding the right technology to enable future-fit education is a puzzle for most schools and educational institutions. What technology fits? What platforms are conducive for learning? Can a software solve a specific problem? Most often, schools don’t have answers to these questions. Likewise, ed tech companies struggle to find markets for their products, treading unknown territory as they develop new offerings. There is a gap between imbibers and providers, and boom, a whole new category of entrepreneurship is created. Settle in, as we tell you all about it. Because there is a space between schools and technology providers, it means that you have a chance to branch out as an entrepreneur on your own. This space you see is coveted, and you can serve both schools and ed tech ventures by serving as the mediator. Here’s what you can do. By gathering the needs of schools and identifying pain areas, you can funnel information to companies who can use this information to power research and development. In turn, these companies’ products can be piloted by schools to see how they work, and whether they fill a gap. This way, companies have a ready market that they can test-drive their products on, and schools supply meaningful feedback. It’s a two-way street. LEAP Innovations, a Chicago-headquartered organisation has an effective business model. It butters both sides of the bread by addressing the needs of education technology companies, as well as schools. LEAP associates with schools by inviting them to participate in their programme. A panel of about six teachers evaluates proposals from technology companies to decide which one they want to select. Then, after they choose a company, they are trained on how to use its programme. The company offers a complimentary license to the school for a full academic year before the school must decide whether they want to renew it for a fee. LEAP claims that 80% of the schools that enter the programme lock in on a technology after the first year for the full price. Another perfect example of how an organisation has captured the space between schools and companies is LearnLaunch, a Boston-based organisation that follows a model like LEAP Innovations’s. As with LEAP, LearnLaunch collects views from a team of teachers from each school to identify technologies that can fit the school’s requirements. Teachers work in sync with each other to pilot products and provide definitive feedback to LearnLaunch. Many schools in the Boston area are gravitating towards adaptive learning technologies, in an endeavour to custom-design classes and develop a personalised learning plan for each student. Schools always favour validated studies before investing their time and effort in a pilot technology. However, technology testing is difficult because of the rapid pace at which technology moves in the ed tech space. Here’s an example. In January 2017, What Works Clearinghouse released findings of a study conducted on a new software called Odyssey Math. The survey revealed that the software held potential for success, but not long after, Odyssey Math was bought by another company and its modules were quickly stitched into other educational products. In effect, Odyssey Math doesn’t exist anymore, and the research conducted on it, is now redundant. The bottleneck for most ed tech companies is time. By devising a method to deliver research results quickly, you may have yourself an entrepreneurial proposal. Currently, much of the coordination that happens between schools and mediators is verbal and is facilitated via email exchanges. The communication with ed tech companies is similar. By opening a virtual marketplace for schools, you can slide out of the equation and engage schools and companies directly. When a transaction takes place, you can charge a fee to the vendor for using your marketplace. Adding a marketplace to the equation is quick, easy and economical if you employ a readymade framework. Pinlearn, for instance, is a turnkey technology that allows you to jumpstart your marketplace within days, and offers the same premium experience that you get on many popular virtual marketplaces. Its technology stack, that is composed of layers like NGINX web server, SSL, JQuery and Boostrap, is at par with some of the best marketplaces in the world, leaving you to focus on your business. When it comes to marketing your brand, there are two sides of a coin you need to consider. You need to promote your offerings to ed tech companies, as well as to schools. Try a direct marketing approach, through emailers and focused promotions on social media and digital forums. Spread the brand by creating a presence at startup conclaves and technology conferences. With schools, it is best to win over confidence through personal meetings. Not all schools are tech savvy, and meeting stakeholders in person may be the best idea. Try offering freebies like free demos to get them on board. The ed tech mediation space is still unexplored, and there are many schools who haven’t yet experienced the power of technology in the classroom. In the next five years, it is a sector that holds much promise. Influence the change through entrepreneurship, one school at a time.